Feature Update: Combined Calls is Now Live! 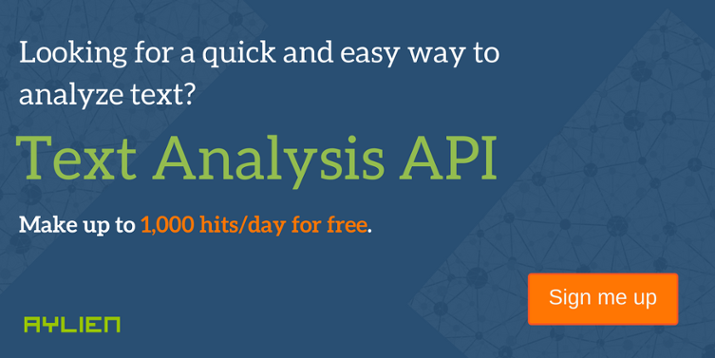 Most of our users will make 3 or more calls to our API for every piece of text or URL they analyze. For example if you’re a publisher who wants to extract insight from a an article or URL it’s likely you’ll want to use more than one of our features to get a proper understanding of that particular article or URL. With this in mind, we decided to make it faster, easier and more efficient for our users to run multiple analysis operations in one single call to the API. Our Combined Calls endpoint, allows you to run more than one type of analysis on a piece of text or URL without having to call each endpoint separately. To showcase how useful the Combined Calls endpoint can be, we’ve ran a typical process that a lot of our news and media focused users would use when analyzing URL’s or articles on news sites. In this case, we’re going to Classify the article in question and extract any Entities and Concepts present in the text. To run a process like this would typically involve passing the same URL to the API 3 times, once for each analysis operation and following that, retrieving 3 separate results relevant to each operation. However, with Combined Calls, we’re only making 1 call to the API and retrieving 1 set of results, making it a lot more efficient and cleaner for the end user. The code snippet above was written using our Node.js SDK. SDKs are available for a variety of languages on our SDKs page. We’ve broken down the results below into three sections, Entities, Concepts and Classification to help with readability, but using the combined calls endpoint all of these results would be returned together. "label": "computing and information technology - software"
You can find more information on using Combined Calls in our Text Analysis Documentation. We should also point out that the existing rate limits will also apply when using Combined Calls. You can read more about our rate limits here.